Take the top-of-the-line Camaro SS featured in these pictures. For around $30,000, you could own what was likely among the top ten fastest production cars in the world at the time. From a brute-strength standpoint, this was a very impressive vehicle. 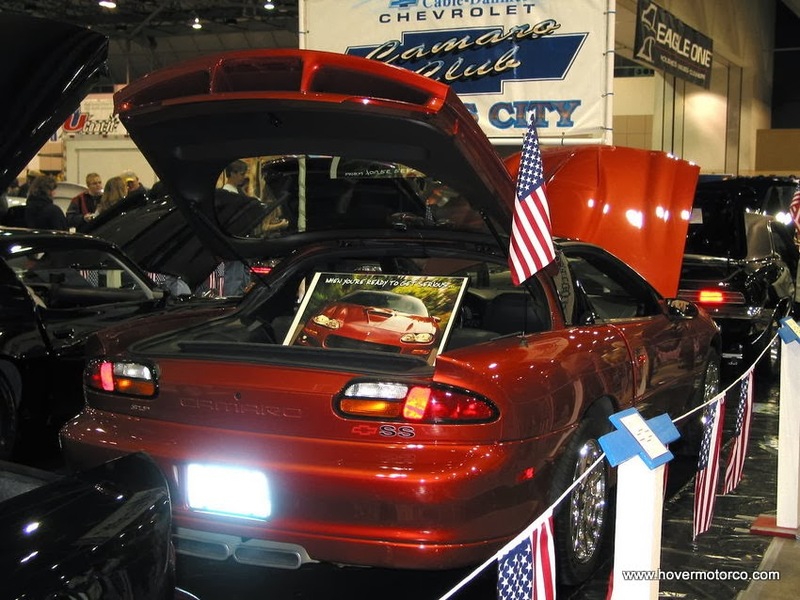 Although sold new through Chevrolet dealerships and covered by a GM warranty, the SS models were basically Z28’s that were upgraded by aftermarket parts maker SLP. The mostly finished cars were sent from the factory to SLP’s facility in Toms River, NJ. 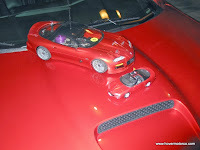 Spoilers, exhaust, wheels, and hood were all added at that time. That’s why, if you look at the bolts holding the hood on, the paint might be skinned off of them a little. This was all done after the fact. 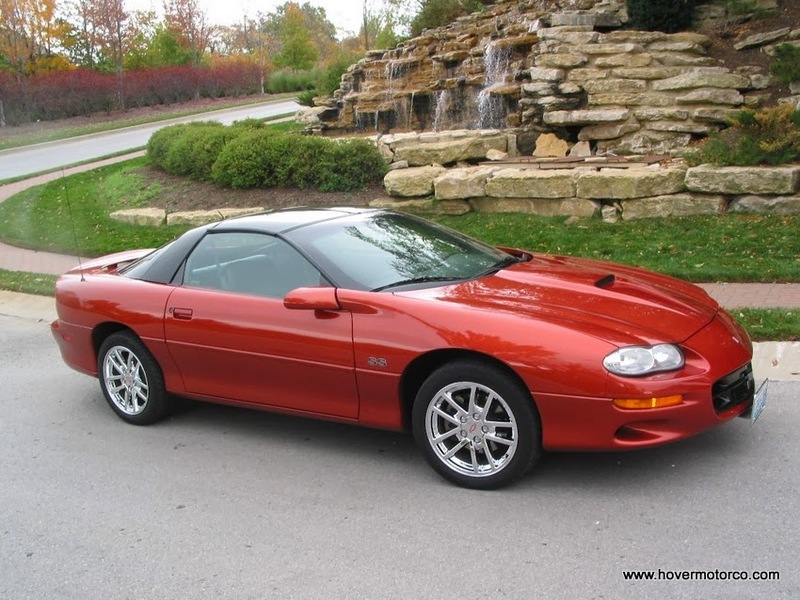 The heart of the SS, and the Z28 for that matter, was the sledgehammer strong, yet surprisingly smooth LS1 V8. On a Z28, horsepower was rated at a healthy 310, but the functional hood scoop and exhaust tweaks on the SS kicked things up to 325. Optional exhaust systems, like the center-mounts on our feature car, were supposedly worth another 10-hp. Add another ten if the car was equipped with the optional SLP air box lid in 2002. This was good for quarter-mile times that dipped into the mid-13-second range—very respectable, especially early in the decade. The horsepower was impressive, but the real story was the torque. 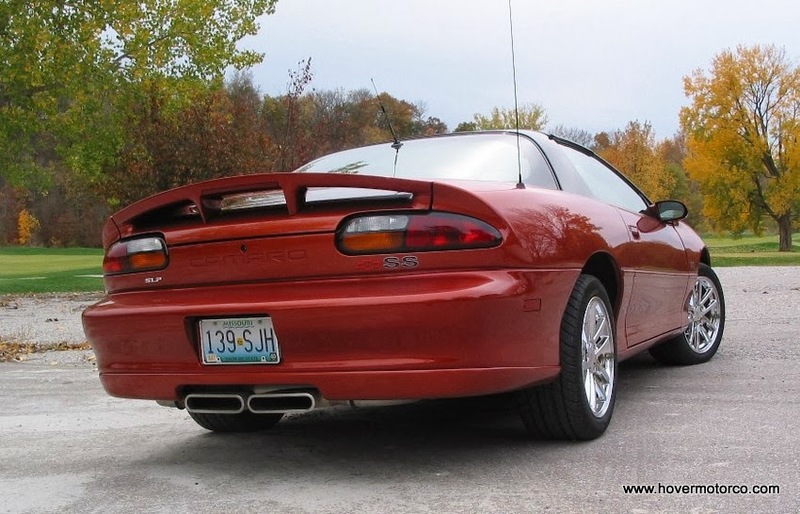 With some 350 lb-ft at 4,000 rpm, a Camaro SS could easily plant you into the seatback. Impress your friends; infuriate your neighbors; pick up a trophy in the commuter stoplight drags; it could all be yours with some slight pressure from your right foot. 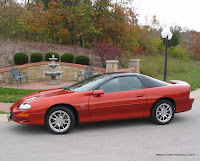 So if these cars were so great to drive, why couldn’t Chevy sell enough of them to continue production? A lot of it just had to do with packaging. If you weren’t the driver, you had to make some compromises. The back seats were virtually worthless, there was a sizable hump in the passenger’s floor where the catalytic converter ran under, and the doors were long and unwieldy. Rearward visibility left something to be desired, and that long windshield and big wipers resulted in an unusual perspective out the front as well. The feature car in these pictures was a 2001 model. 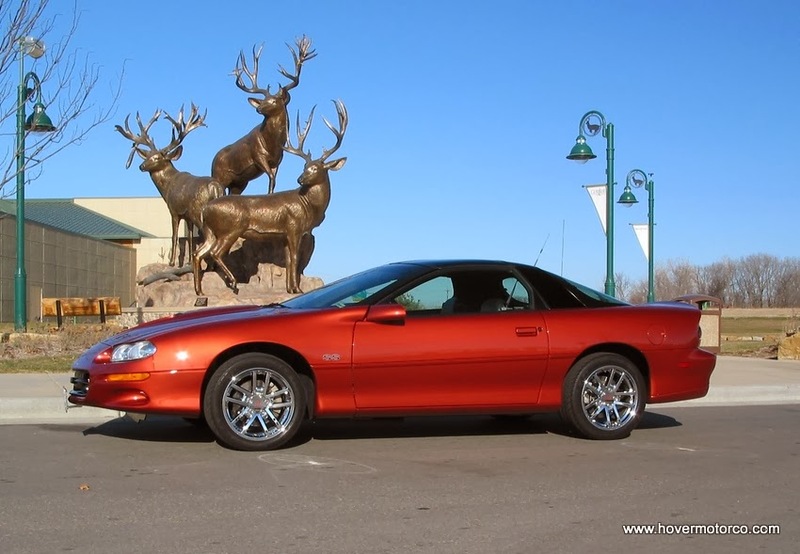 It was one of 234 Sunset Orange Metallic 6-speed SS’s built in 2001. 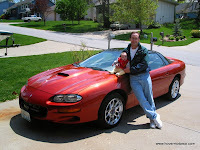 I purchased it used from Sunflower Dodge in Olathe, Kan., in October, 2001 after it was traded in on a new Dodge truck. 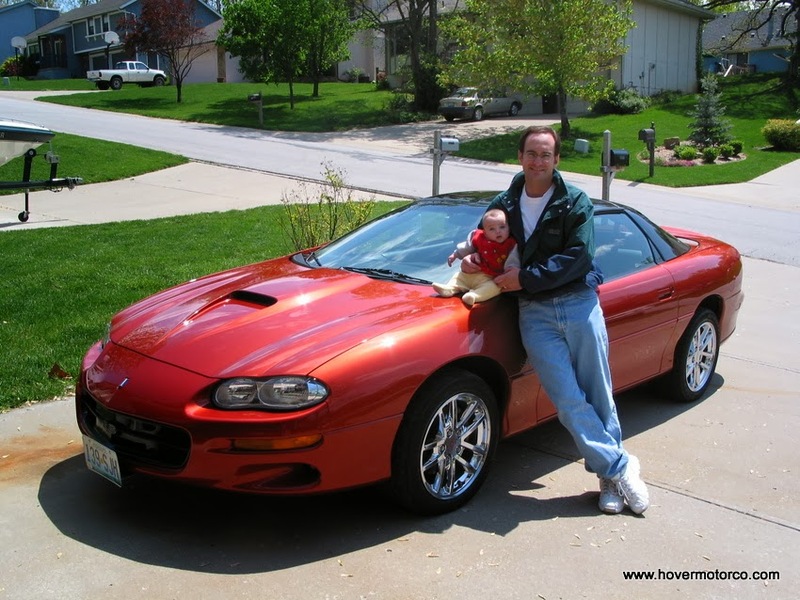 To this day, it is the only car I’ve ever owned during the same year it was built, and one of the few I’ve ever owned that was built in the same decade I owned it. 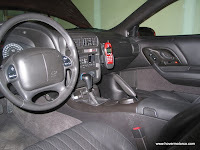 Check out my color-coordinated hands-free cell phone holder in there! Needless to say, it was a pretty big deal to me. I kept it for a few years until my son was born, and I couldn’t really justify keeping it when the daycare bills started rolling in. But I really loved it while I had it, and believe it had the potential to have some collector’s appeal in the future because of the color and options. 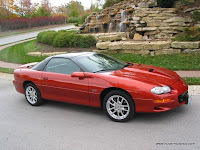 Obviously, the Camaro did return, as an exceedingly popular and capable 2010 model. 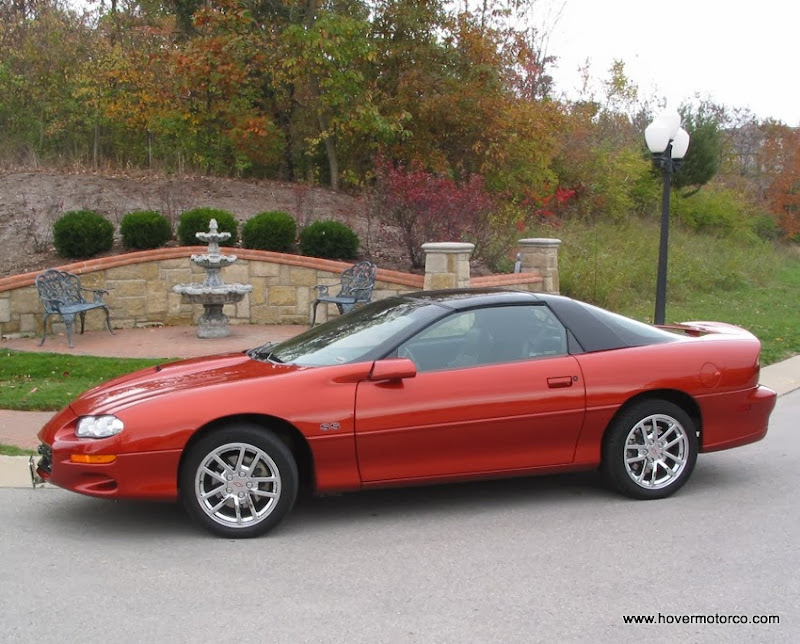 But if you want to have a fun Camaro without the expense and headaches a new car can bring, consider looking into a 2002 or older SS. You may be surprised how much car you can actually get for your money, and nice cars are still out there if you keep your eyes open. Slideshow below, or click this link. These were great cars to drive as you noted. I had a 96 ; but Lord help you if anything needed repaired! What a nightmare under the hood!